S.O.S Floor Cleaner launched a new product on October 3, 2017 at The Terrace, Senayan National Golf. 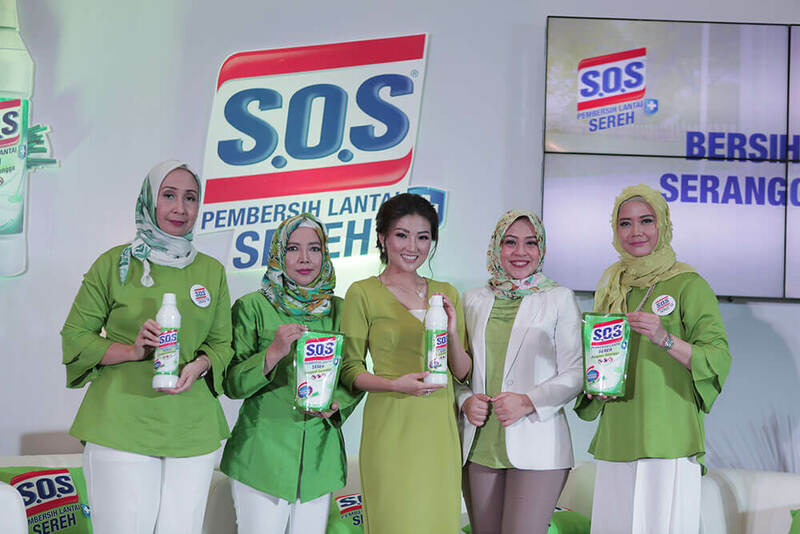 The S.O.S Lemongrass Floor Cleaners launching event invited dr. Kartika Mayasari, celebrity mom, Sarwendah, and 81 media, from digital media, television to print media. Besides the product launching, this event also aims to establish cooperation with the media, educate the target market, and increase the brand awareness of S.O.S Lemongrass Floor Cleaner. This new product has 3 advantages: it repels insects, such as flies, mosquitoes, and cockroaches, due to its natural ingredient of Lemongrass, it kills germs, and removes dust, dirt stains, and also makes the floor shiny.